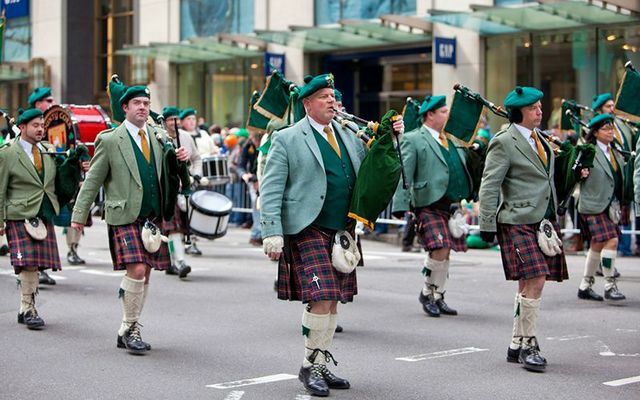 Boston and New York have long laid claim to being the centers of Irish immigration that saw the very start of St. Patrick’s Day parades before they had even started in Ireland itself with start-up dates of 1737 and 1762 respectively. According to new research unearthed in Florida, St Augustine may have well over a hundred years on Boston and New York, holding its first St Patrick’s Day celebration in 1600 and its first parade in 1601. The sensational information was uncovered in December 2017 by historian Dr. J. Michael Francis in a gunpowder expenditures log in Spain's Archivo General de Indias, or AGI. The documents reveal that spring festivities which included a feast day of San Patricio (St. Patrick) was held in the year 1600 in St. Augustine, Florida. "While artillery pieces often were fired to help guide ships safely across St. Augustine's protective sandbar, they were also fired during times of public celebrations and religious festivals," Francis wrote in his blog for PBS. "In March of 1601, St. Augustine's residents gathered together and processed through the city's streets in honor of an Irish saint, who appears to have assumed a privileged place in the Spanish garrison town. Indeed, during these same years, St. Patrick was identified as the official 'protector' of the city's maize fields." The professor and Chair of the Department of History and Politics at the University of South Florida, St. Petersburg, has studied the records on and off over the past 30 years and he was certainly surprised to discover this information on a St Patrick’s Day celebration written in Spanish in Florida. "It was certainly a surprise ... it did not register the first time I looked through it. ... It was written in Spanish, and it took a few seconds before it actually hit me that this was a St. Patrick's Day parade/procession," Francis explained to Renee Unsworth from totallystaugustine.com.